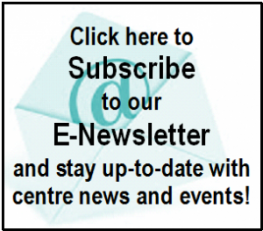 Bowling is great fun for children and adults; we’ve got everything you need for children and everything you need for adults. So, get a few people together and come down for some bowling fun. Lanes are available to be booked on a per game per person basis. Bookings are based on first in, best dressed. They can be made on the day, however bookings made in advance generally guarantee the time you want. Phone 9895 2300 to book a lane today! 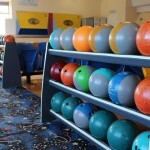 For people who want to book regularly, or who wish to practice their bowling technique, we offer permanent lane hire options. Permanent bookings are for a minimum of 6 months and if cancelled for more than 2 consecutive weeks then the booking is cancelled. * Max 2 people per lane for hourly lane rates. 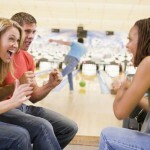 Team Bowling – Great for friends to play! If you enjoy bowling, why not get a group together and start a team. Teams can play regularly or irregularly. We will set you up with a team name, and regular players can track their score progression and averages each time they play. Great fun for friends to play! 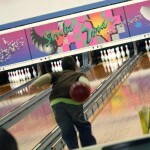 To find out more about our team bowling options phone 9895 2300 and talk to Mark, our bowling co-ordinator.